Parallel parking is a core competency when it comes to living in the city. If you don’t live in a city, then you probably aren’t especially great at it. Generally speaking, that’s okay. But what happens when you have to parallel park? What if you’re having dinner in the city and you’re driving? Your parallel parking skills weren’t forged in the flames of necessity and hardened by the judgmental eyes of onlookers. What if you haven’t had to parallel park since you took your first driver’s test? What can you do? We’ve got your back with this condensed parallel parking guide designed to help you in a pinch. Don’t worry–we’ll get you through this in one piece. You won’t even have to worry about attempting to explain yourself to all the witnesses, either. Everything is going to be just fine. You can do this. Ready to become a parallel parking Jedi master? Here we go. Step 1: Get your car in parallel parking position. 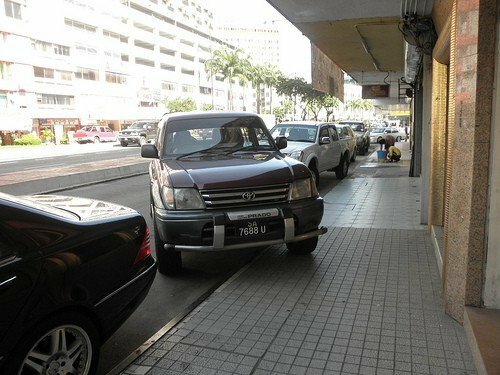 Once you’ve found a spot that looks big enough, pull your car up to the car in front of the space you want to take. Make sure the back of your car is even with the back of that car. Once the two cars are pretty close to being lined up (you don’t need to be exact here), bring the car to a FULL STOP. Step 2: Turn your wheel and back-up. Next, turn your wheel all the way toward the curb. Yes, all the way. Now, put your car in reverse and back in slowly. When the corner of the rear car that’s closest to the curb is in the center of your rear windshield, stop. Step 3: Turn your wheel back. While stopped, turn your wheel back until it’s straight and your wheels are no longer turned to either the right or the left. Proceed to back up slowly. Once the front of your car is clear of the car parked in front of you, stop. Step 4: Back, back, back it up. While stopped, turn your wheel all the way away from the curb—as far as it will go. Now, continue to back up slowly. When your car is finally parallel to the curb, stop and put the car in “park”. Step 5: You’ve parallel parked. SUCCESS! You’ve mastered parallel parking. Now get out of the car and celebrate with a tiny victory dance. Can I Parallel Park Like This Every Time? Yes. You can. Parallel parking isn’t difficult and this process is repeatable. As long as your parking space is big enough, this set of instructions should work for you every time. Now you, too can be the envy of your friends and wow onlookers with your urbane, metropolitan parallel parking style. These days, there seems to be a million different things that claim to help you parallel park. 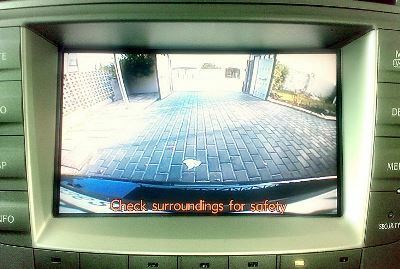 From rear-facing back-up cameras to self-parking cars, we seem to spend a lot of time, effort, and money catering to people who haven’t learned this simple process, but we don’t need to. Our how to parallel parking guide will work every time, even in cities with the worst parking. 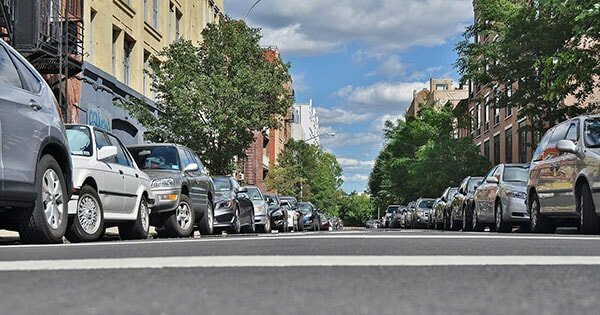 Living in the city, it’s common to watch inexperienced drivers attempt to parallel park—especially using devices such as back-up cameras and automated parking. It’s not uncommon to see drivers and passengers switch places in order to land a parallel parking spot. Yet, almost without fail, these parking assistance devices don’t often work as well as you’d expect and in the case of switching drivers observation has shown that the back-up driver isn’t especially experienced either. Do yourself a favor. Bookmark this page. Save it on your phone. Keep it handy for the next time you need to parallel park and you can look like a pro, parking with style and ease like you were James Bond (though we don’t recommend trying to parallel park by doing a 360 degree spin at 60mph into your parking space). What to do in a hit and run? What steps can you take to prevent auto theft? What can I do to lower my auto insurance payments? Car owners get faced with a lot of questions. Read our Car Owners Guide to make sure you’re getting the most out of your car.